Paneer Butter Masala - Cottage Cheese cooked in rich sauce made with onion, tomatoes and cashews. 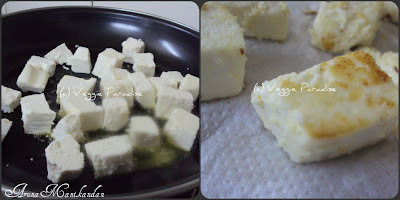 This is an authentic paneer recipe that goes very well with roti's /Naan. Add the paneer cubes, fry it until they turn slightly brown. Remove and place them in kitchen towel . Heat oil in a pan, add the chopped onions and saute it for a min ,then add the cashewnuts . Now add the chopped tomatoes, saute it. Cover and cook in low flame until the tomatoes are well cooked. Allow it to cool, grind it smoothly and filter it. Heat 2 tbsp of butter and oil, add the chopped onions and saute it well. 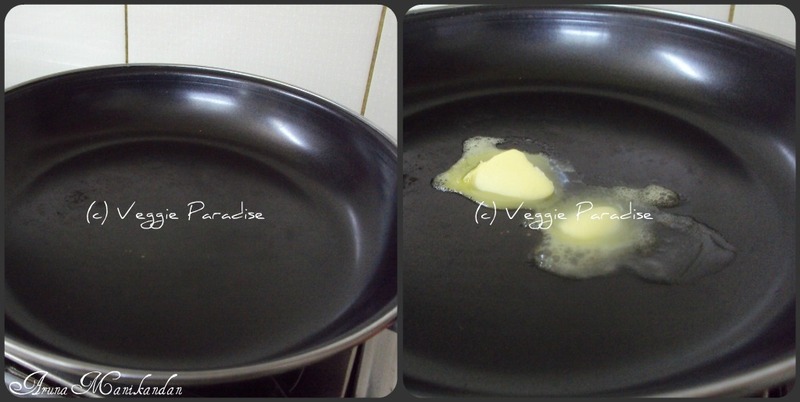 Add Ginger-Garlic paste and saute until the raw smell extracts from it. 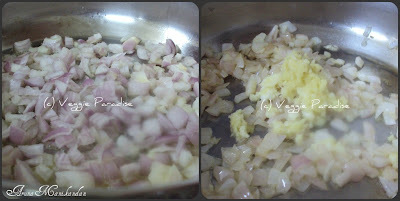 Add the filtered puree along with salt, chilli powder , corainder powder,sugar and garam masala powder stir them well. Cover and cook in low flame for 15 mins. 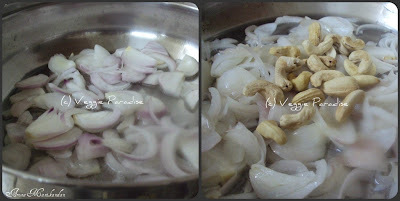 Add the dried fenugreek leaves and mix it well. wonderful step by step illustration! It really helps! Thanks for the recipe dear! 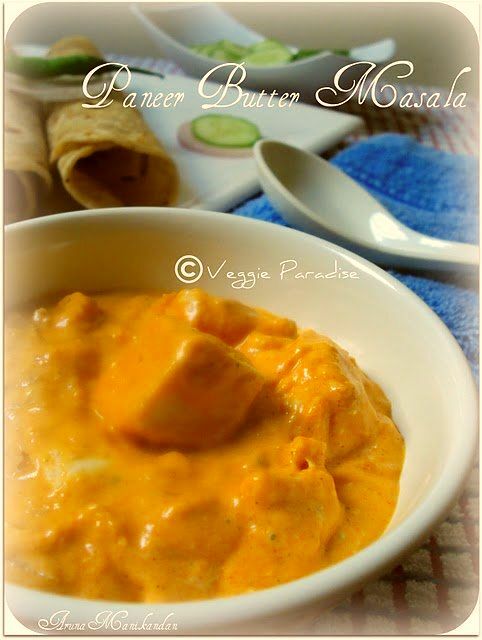 The paneer butter masala looks absolutely delicious. 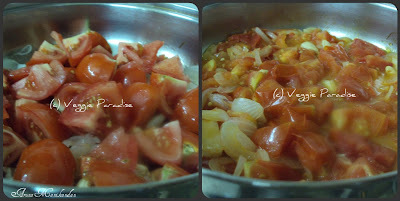 One thing I learnt from this recipe is how to go about cooking the tomatoes before adding it to the paneer butter masala. hmmmmmmmmm! sooooooooo tempting and inviting paneer masala. 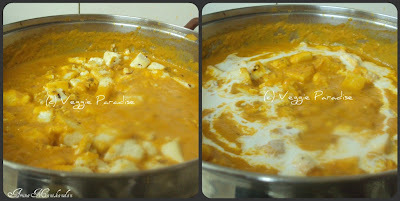 Creamy and delicious paneer butter masala..Yum! This is one of the my favorite's...looks yummy..
Creamy yummy paneer recipe...love this...Nice explanation and clicks..
Everyone's favorite.. Nice and clr step by step pics for anyone to understand..
very delicious paneer butter masala, rich n creamy gravy, wonderful explanations..
delicious.. so creamy so tasty.. looks so good. Yumm Aruna, always my favorite!! Aruna Paneer Butter Masala looks so creamy and yum. Such a creamy n yummy PBM..love it to d core.. Totally droolworthy n awesome! Love the texture and color! Splurt, missing the bowl, it's been so many days I made it, now I can't stop. Your's look fantastic. So creamy, delicious looking paneer masala. Ooo..it looks so creamy and awesome! Thats some really delicious Panner and very well captured photo. Very tepting. Firt time here and following you. Please visit me as time permits. Aruna.. Thats one creamy paneer.. looks so sinfully inviting..
Creamy yummy recipe. Love paneer a lot. Oh.. Aruna .. This looks so sinfully good.. Love the creamy texture.. 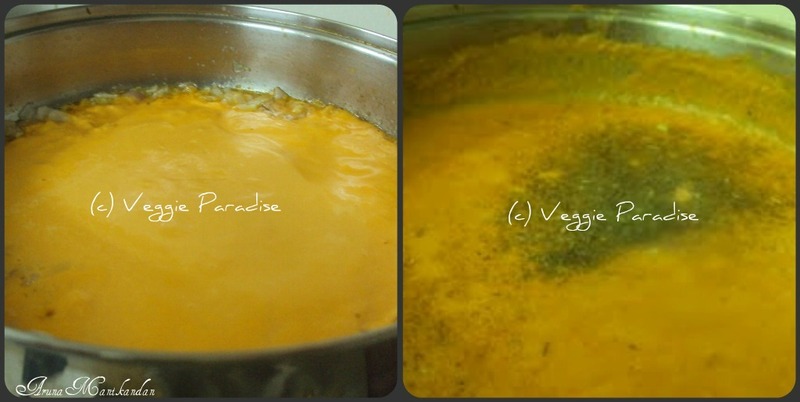 This is an awesome recipe Aruna. I tried it a week ago and my hubby loved it. 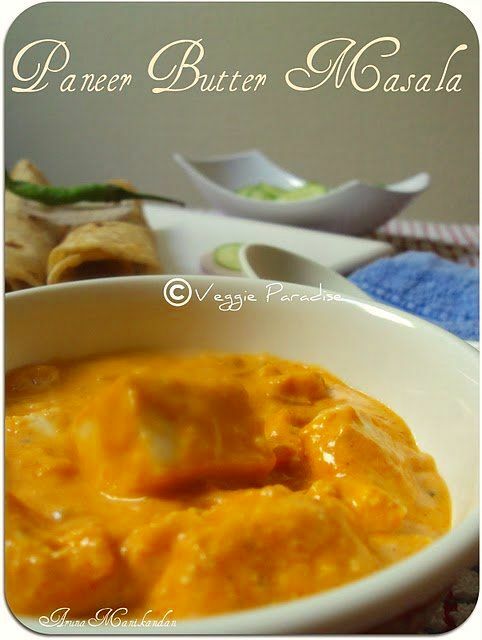 Paneer Butter Masala is one of my favourite vegetarian recipes......thanks for sharing it.